It was certified as an official salt at The World Summit of Gastronomy 2012 where top chefs from 9 countries & cooking parties gathered and demonstrated their excellent cooking technique. 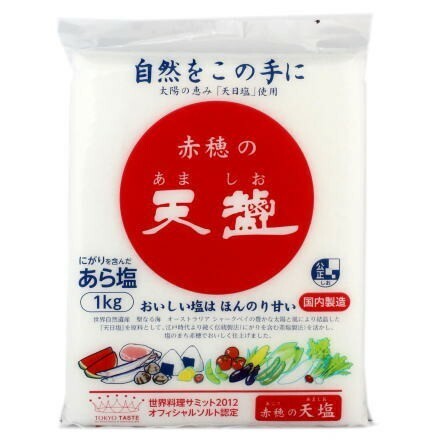 Ako salt contains “Bittern”, ingredient in the sea and brings out the flavor of other ingredients with its deep & mild taste. 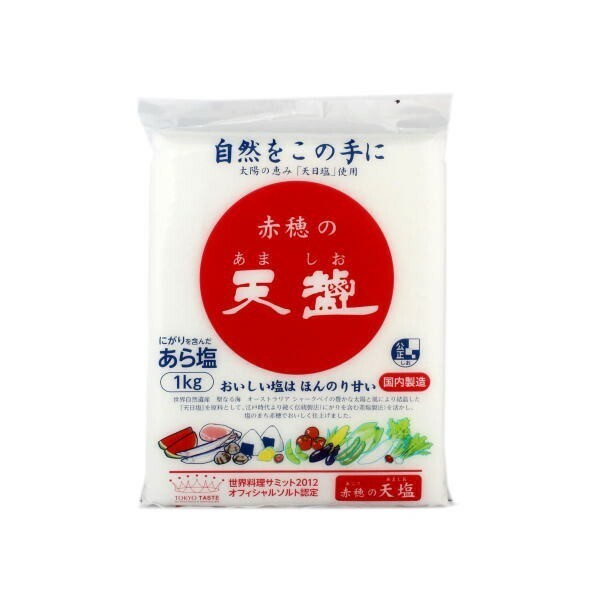 This slightly sweet salt plays outstandingly not only for cooking but for rice ball with enhancing rice taste.